Creating a well-organized bathroom can be a serious challenge. For those who adore lotions and potions, the powder room can turn into a cosmetic counter gone awry. Product pile-up can create a cluster of clutter and leave the bathroom space feeling claustrophobic and chaotic. For those desiring bathroom bliss, a few organization tips and tricks will transform a sloppy space into a spa sanctuary in no time. 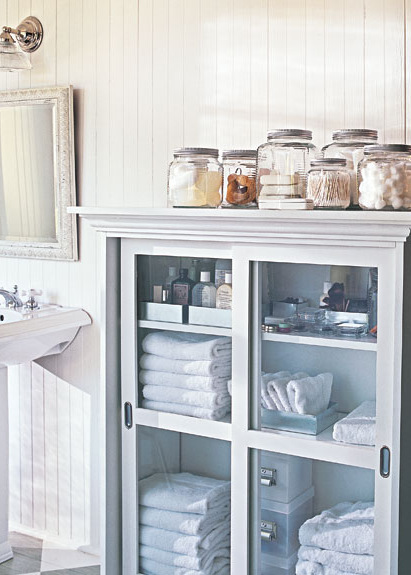 For a quick way to streamline lots of beauty goodies, there’s no better option than to utilize clear jars and see-through cabinets for ultimate orderliness. Storing products in jars and behind glass cupboards will create a visible reminder of all the bathroom odds and ends. 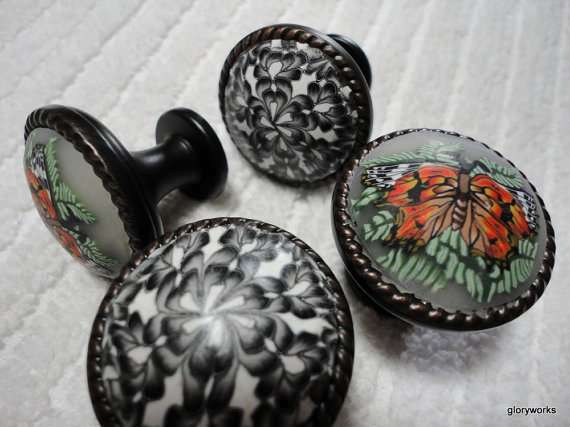 Plus, cute apothecary or mason jars add pretty decorative flair to any bathroom space.